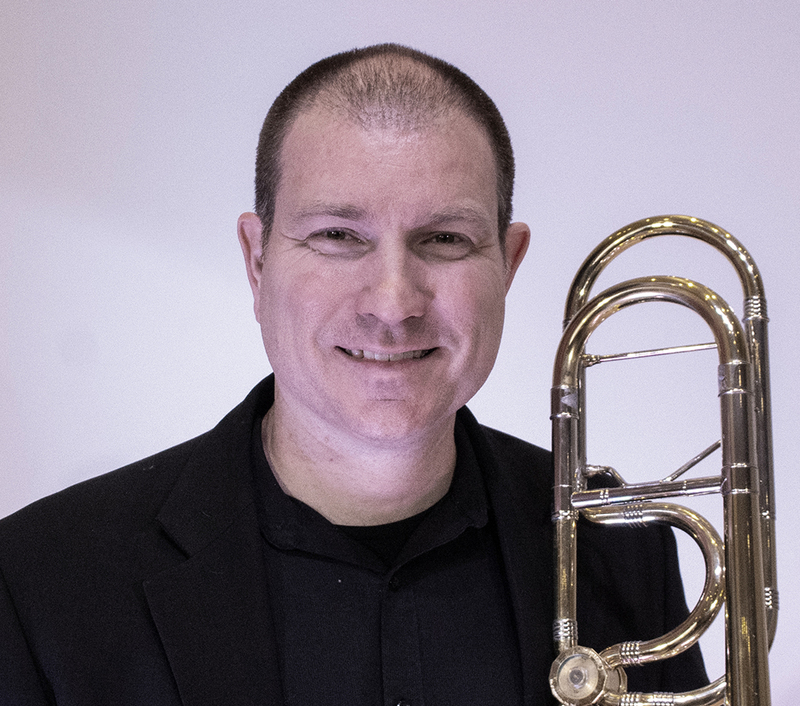 Kip Hickman has been the Principal Trombone of the West Michigan Symphony since 2013 and the Kalamazoo Symphony Orchestra’s Principal Trombone since 2001. Kip grew up in San Diego, CA, received his Bachelor of Fine Arts from UCLA in Music Performance and Education and his Master of Music from the University of Michigan in Trombone Performance. He also is a member of the KSO Brass Quintet and the Kalamazoo Brass. Prior to winning the job with the Kalamazoo Symphony Orchestra, Kip was the Second Trombone in the Lansing Symphony Orchestra for four years. He has also performed with the Detroit Symphony Orchestra, the Grand Rapids Symphony, and the Michigan Opera Theatre Orchestra, as well as the Detroit Chamber Winds and the Western Brass Quintet. He currently maintains a private teaching studio in Kalamazoo, Portage, and Mattawan, including the Crescendo Academy of Music, and is the Low Brass instructor for the KSO’s Kids in Tune after school program. Kip resides in Kalamazoo with his wife, Jeanna, and daughters, Annamarie, Evelyn, and Jocelyn.